MPAA Rating: Rated R for strong bloody violence and language. 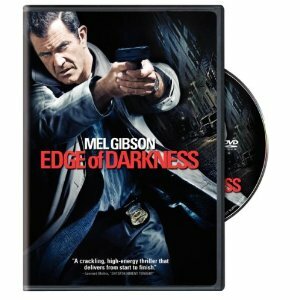 Thomas Craven (Mel Gibson) witnesses the murder of his daughter Emma (Bojana Novakovic) as they return home on a dark, rainy night. A man leaps from the bushes near their house. Craven, a homicide detective, is not sure if he was the intended target or if his daughter was the target. As he investigates, he uncovers details of a secret life his daughter was living, which leads him to a massive corporate cover-up and government collusion involving the unsafe storage and release of nuclear waste. His investigation also attracts the attention of those who prefer the matter to just go away. The movie is a thriller, but a convoluted one. Viewers must pay attention to details. There is far more drama than action, which may put some viewers off. Plus there is Mel Gibson. Frankly I found his performance boring. It was Mel Gibson playing Mel Gibson, essentially. In the credits, I noticed that this movie was based on an award-winning British mini-series by the same name from 1985 starring Bob Peck. The British version of this eco-thriller intrigued me and was next on my list of DVDs to check out. It turned out to be well worth the time to view the British version. Better acting. Better storyline all around. My opinion? Skip the Mel Gibson version and watch the Bob Peck version.